Established in 1886, sold by Tooth & Co. c1950 and bought by Tooheys. Hotel closed early 1980's. Carrington Hotel opened in 1886 in premises in High Street on the east corner of Paterson's Lane. A large building, which was probably a warehouse or store, can be seen on the site in the 1878 lithograph of Maitland and also on the 1886 historical map of High Street. 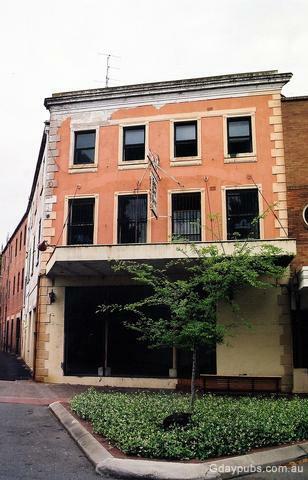 The hotel was a 3-storey brick structure with prominent sandstone quoins up the corners of the building and at first without verandahs or balconies, which were added probably in the 1880s when converted to hotel use. A rear extension was also added almost doubling the size of the hotel. A photo dated 1930 indicates that the earlier ironwork balustrade of the first floor balcony had been replaced with a simpler timber structure (NBA). By 1949 this and the iron supports had been removed altogether and replaced with a suspended cantilevered awning. Tooth and Co relinquished their association with the hotel c.1950. The hotel was purchased by Toohey who retained ownership until the 1970s (NBA). 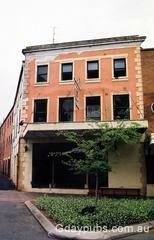 In 1985 the former hotel was purchased for use as a warehouse and retail outlet for electrical and lighting goods. The ground floor was stripped of the inner walls, toilets, cool rooms and kitchen and bar facilities. Large glass shopwindows were installed. An old building at the rear, possibly garages, was demolished to provide car parking spaces. Other commercial uses for the building have occurred subsequently.